I’m planning a trip back to the States soon, and I could not be more excited to see this beast again. 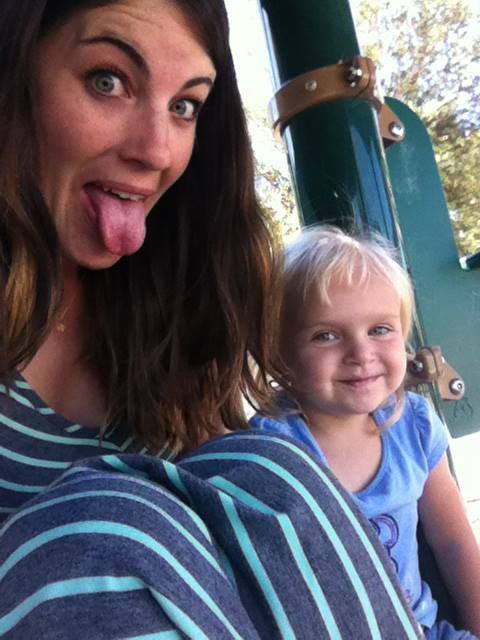 You know I mean business when I say that I miss that three-year-old creep more than I miss burritos. I haven’t seen her in SEVEN MONTHS, which is just unacceptable. That’s like one hundred years in toddler years. I feel sick just thinking about it. Last night, Fertile Myrtle and I had our weekly Skype date, and yet again, I had to bribe The Beast to speak to me by threatening to withhold her English chocolate gifts. It’s a super effective tactic, but it also makes me feel gross and sad. I want her to remember how awesome and fun I am, and just live to speak to me for five minutes every Sunday morning. Unfortunately, she’s still too little. As I was falling asleep a few hours after the call, I had this moment of feeling present in Fertile Myrtle’s house, just standing by the kitchen island where I’ve eaten my feelings a thousand times. And that one second of teleporting home was tragic. It is really, truly, deeply devastating to be separated by distance from the things you love. As much as the move was my choice (and a huge opportunity), if I could have everything at once, I would be home surrounded by my people, showing The Beast how to stick salty pretzels to her wet arms in person instead of having to do over the internet. I apologize in advance to everyone else who thinks they are going to see me when I’m home. I’ll be really busy for the full two weeks teaching a child how to make her mother insane.